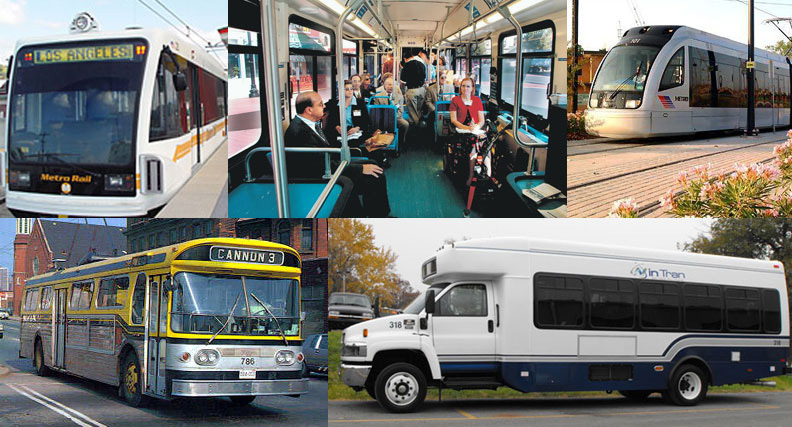 Public Transportation’s Impact on Property Values: Good or Bad? There appears to be a sort of unfortunate urban myth that public transportation projects makes nearby neighborhoods less desirable. Certainly, the construction phases of some projects may generate noise and cause some inconvenience. No research supports the idea that public transportation increases crime or negatively impacts property values. In fact, plenty of research supports that intuitive notion that easy access to public transportation makes local properties even more desirable. Not only do people favor it and understand the benefits, increased transportation has already demonstrated its ability to increase property values. In the past two decades, the use of public transportation has increased by about one-third. This is a greater increase than the overall population and the number of vehicle miles driven. A study of almost 500 urban areas found that sharing transport saved 450 million fuel gallons and 865 million travel-time hours within one year. A dollar invested in public transport yielded about four dollars in economic returns because of cheaper commuting options, transportation employment, and other factors. Recently, the Millennial Generation took over from Baby Boomers as the largest population of the workforce. A study from the Rockefeller Foundation found that almost two out of three of these younger workers considered access to public transportation one of the main factors they would use to decide where to live. More than half of the survey respondents even said they would strongly consider moving to another city if the only deciding factor was better access to city transportation. The National Association of Realtors explored the idea that public transportation had an impact on crime rates. As an example, they cited a study of Los Angeles from the University of California. The study found that neighborhoods and streets around Metro stations did not have higher levels of crime than other locations within the metro area. In fact, the study concluded that these neighborhoods often had lower rates of serious crimes because more police and security guards tended to have been deployed nearby. The University of California study did report that the natures of crimes might change. For instance, pickpockets might be more common around transit stations, but car thieves were more likely to work around parking lots. It’s easy to prove that public transportation offers benefits like more affordable commuting, less traffic congestion, and of course, reduced energy use and greenhouse gas emissions. Similarly, it’s not difficult to debunk the myth that public transportation encourages illegal activities and to support the idea that it improves economies. High-value properties: First, it might be helpful to consider San Diego, an area with famously high property values in the first place. The Urban Land Institute found that all kinds of property that were closer to the transit system enjoyed a premium of 17 percent over comparable properties that were further away. In other words, accessible transit options can even increase the value of high-value properties. Economic downturn areas: In Chicago, single-family home prices in suburban areas dropped by almost 20 percent during the Great Recession. Suburbs that had service from the city’s transportation system only saw a decline of 15 percent. Public transportation can preserve value even when the economy is driving property values down dramatically. Typical metro areas: Dallas, Texas is an example of a city with all sorts of types of properties. Typically, people think of Dallas a place with a deeply embedded car culture too. A University of North Texas study found that properties near the DART lines increased by 39 percent over properties that were not served. Are Property Values Always Improved by Public Transit? Of course, it’s possible to find some examples of people who did not enjoy an increase in property values because they were near a transit station. You might visualize a movie trope where a poor person has to endure rattling windows in their apartment when the nearby train roars past. Old-fashioned trains, poor planning, and other factors may sometimes make properties that are right on top of a public transportation station less desirable. However, it’s fair to question if the positives in even these situations wouldn’t outweigh the negative of lacking access to affordable transit. It’s fairly safe to say that public transportation almost always improves the value of business properties, single-family homes, and multi-tenant buildings. Besides the obvious benefit of having an alternative to using a car every day, public transit can reduce congestion for people who do use cars, conserve fuel, lower emissions, and improve the economy.